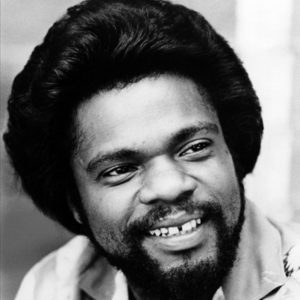 At age three Billy Preston taught himself to play piano. By age ten he’d graduated to the organ—backing the likes of gospel superstar Mahalia Jackson. At age eleven he starred alongside Nat King Cole as a young WC Handy in the film St. Louis Blues. Also showed off his formidable skills on TV, accompanying Nat. When Billy Preston was only 16 he was on tour with Little Richard, and met an up and coming band with a residency in Hamburg. Billy’s often called the “Fifth Beatle.” And for good reason. He played on most of their records. And he’s the only one besides the Fab Four proper to be credited on a Beatles album. Billy actually helped hold the Beatles together as long as he could. He was such a good guy, his mere presence eased tensions between Lennon and McCartney. That song Get Back closed out their final album, Let it Be. And he even joined ‘em for their last public concert, on the roof of Apple Records.